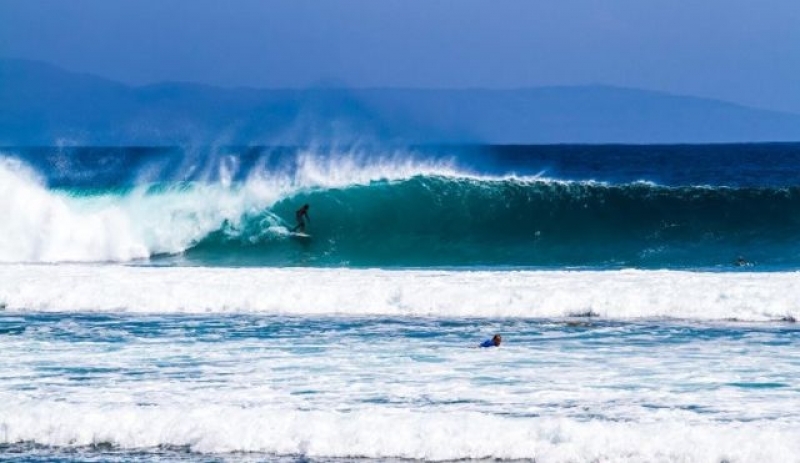 The Gilis may not be the best or most famous place to surf in the region, but it is surely the most laid-back and least crowded. There are a few nice surf spots which are worth a "dawnie", just need to be aware of the currents and the tides and a bit experienced. After a couple of days in Gili T., lazily laying on the beach and enjoying the nightlife, one morning I decided to venture off to check the waves off Ko-Ko-Mo resort, which I heard is one of the surf spots here. The waves were fun, but the amazing thing was seeing local surfers cheering and giving me space. It's usually the other way around! Watch out for the corals and the urchins; expect fast waves and steep barrels if you are lucky! It is possible to rent a board on the islands, ask locals or at Blue Marlin in Gili T. or at Blue Marine, Ocean 5 or Lucky's in Gili Air!